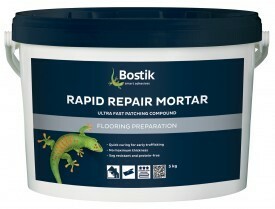 Screedmaster Rapid Repair Mortar can be used in vertical and horizontal applications. For the levelling of steps, pedestals, holes and cracks. A rapid curing patching compound for filling holes and cracks and for step repairs.